Ask a counterfeit sneaker connoisseur about David, and you’ll hear praise that would make Michelangelo jealous. 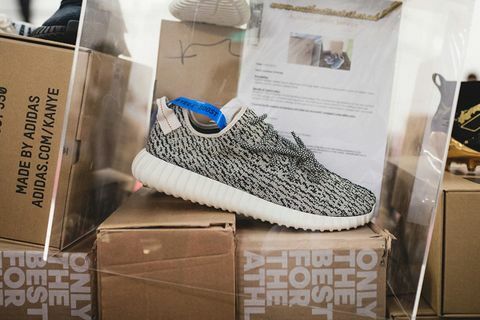 “I want to thank you Heavenly David for making me my Yeezys,” wrote one customer about a pair of replica adidas. “A work of art,” gushed another about a beautifully copied pair of Nike Mags. The reviewer acknowledged that the price, $499, was absurd for a fake, but their only flaw was actually an improvement: David’s futuristic light-up soles had a longer battery life than the originals. At least as frequent, though, were posts about a specific Chinese seller who took the craft to the levels of Margiela’s fabled Replicas. 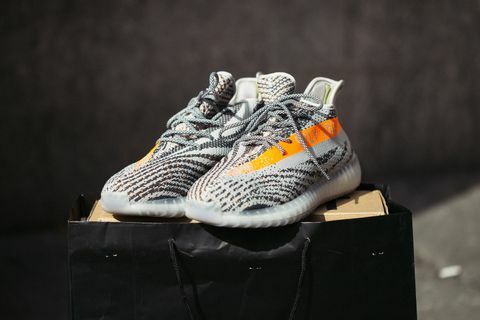 David, as he was known, was the owner of a network of shifty domains — sneakerahead.ru, sneakerme.net, whattrends.biz — and his specialty was YEEZY Boosts. He released them in batches, each with small improvements on the last. By 2017, when adidas’ original YEEZY Boost 350 had been sold out for almost two years, David was on his 11th, and by all accounts sublime, iteration. The fanfare around his new batches echoed Thursday lineups in SoHo. Hundreds of posts analyzed his fabric composition, his mercurial URLs, and his serpentine shipping routes. “Haven’t prayed to David today, hope I won’t die,” riffed one meme. But like God, there was a chance that David might not exist. “David’s website isn’t run by David anymore and it probably never was one person to begin with,” speculated one shopper in 2016 after receiving a call from his bank about credit card fraud. A backlash mounted: some commenters accused David of paying for positive reviews. A couple of months later, a group of redditors itching to know more enlisted a competitor to pinpoint David’s factory, suspected to be located in China’s Fujian province — to no avail. 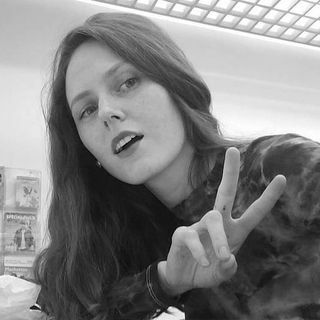 More than a year after I first reached out to the entity known as David — and after several rebuttals via his myriad Skype tentacles — I succeeded where others had failed. It was a humid September day on the outskirts of Guangzhou, the city on China’s Pearl River Delta. Sitting across a table in a low-ceilinged office share, David looked more like a young science fair coach than a counterfeit sneaker kingpin. He wore a short-sleeve button-down, wireframe glasses, and white logoless low-tops. He often gazed over my shoulder, as if at a cloud. Although I’d brought a translator, he insisted on responding in English, often gnomically. 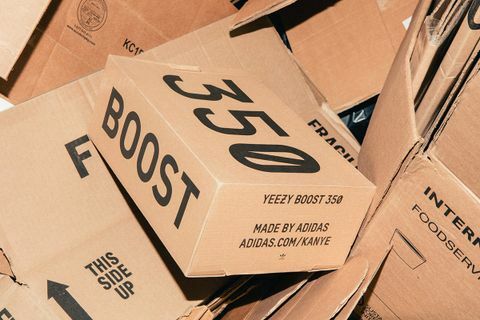 This YEEZY of reps (replicas) had recently renounced the rep game, it turned out. Scattered across the table in front of us were the fruits of his new project, an original sneaker brand. There was a shoe that warmed your arches with a rechargeable carbon fiber sole. Another that laced automatically. A third modulated its stiffness according to your physical activity. The brand was called Soulsfeng New York, although David had never actually been to New York City. 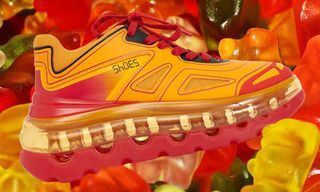 According to David, Soulsfeng is based in Putian, a city 400 miles away in Fujian province, in the same factory of 160 workers that once manufactured his reps. 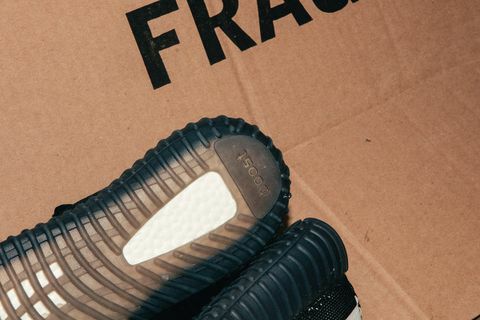 This video shows how the replica factories make the rubber sole for Yeezy 350 Boost V2. Putian’s narrative mirrors David’s own. After getting an engineering degree, he opened a footwear factory, fulfilling orders from mass-market brands such as Denmark’s ECCO and China’s ANTA. Margins were tight. Each pair of shoes netted David 5 yuan (approximately $0.73) after the cost of raw materials and labor. His customers went on to sell them for about $50 each. And the work was dull: the brands provided the designs, “and you copy it exactly,” David recalls. David knew more about shoes than his clients realized. 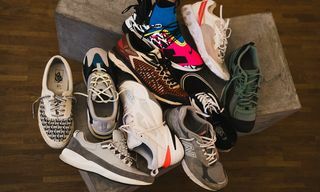 As a teenager, he had collected sneakers for fun (Reeboks are a favorite), using bots to bid on releases and resell them for a profit a few months later. On forums, international friends would sometimes lament a rare release they couldn’t track down. So one day David offered to try to make one from scratch. 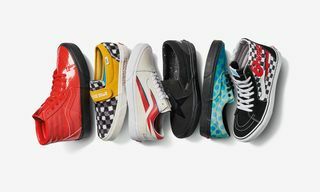 Counterfeiting is officially illegal in China, although the difficulty of enforcing trademarks coupled with the swath of people skilled in manufacturing means it is more common than in other places. It is typically seen as smothering innovation, but in David’s case, it was a bridge. Soulsfeng’s products, like his rep batches, are the results of experimental tinkering. When we meet, he is working on an iPad app that X-rays feet. On a table in the office, a K-Pop video plays on a thumb-sized television in a miniature home, controlled by a Soulsfeng app. The company now holds at least 10 patents, I later read in a local news article. It employs more than 40 engineers and R&D personnel in its 10,000-square-meter plant. Its branding is less fine-tuned for the international market. “We are born to sport,” reads some of the marketing copy on Soulsfeng’s Amazon homepage. 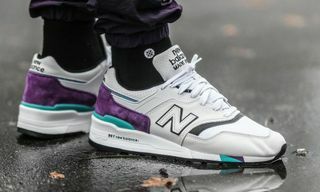 For the launch of its very first sneaker, in 2016, the company released a video. 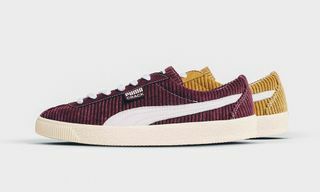 The vibe was raw and industrial, documenting the manufacturing process using “Chinese Cording Embroidery,” with closeup shots of an upper being weaved set to an Aphex Twin-esque backing track. This was production-as-brand, and it made a strange amount of sense for someone who had spent years proving that any trademark can be copied. I’ve yet to encounter a counterfeiter or bootlegger, on Reddit or elsewhere, with a cult of personality to rival David’s. But the paradox of a uniquely rare knock-off — a branded fake — has only grown more alluring since his retirement. Today, logo bites like street artist GucciGhost’s take on the Gucci logo are being repackaged as collaborations. The near-century-old fashion house recently partnered with Dapper Dan, whose ’80s Harlem empire of artistic bootlegs was shut down in 1992 by lawyers acting on behalf of high fashion (Fendi, in this case). In February, Diesel opened a “Deisel” pop-up on New York City’s Canal Street during NY Fashion Week, selling knock-off knock-offs (the brand had, in fact, trademarked the misspelling of its name). As David was going legit, major brands were pulling a David. Overall, David is cagey when talking about reps, like someone might be while talking about an ex. That’s understandable. But I wonder if Soulsfeng will ever reach the notoriety that David the rep seller did. On Reddit these days, although he is mentioned less frequently, his brand lives on. Recently, a new site, Off White Factory, started selling fakes. The site has the exact same design as sneakerahead.ru, right down to the fonts.